Let’s be honest for a minute. Everyone says Thanksgiving is all about the turkey, but we all know that’s not true. Thanksgiving is totally about the pumpkin pie and other glorious fall desserts (sorry honey you’re turkey is amazing, but it’s true). Today I am bringing you 70, I repeat, 70 dessert options for Thanksgiving. It may seem a little overboard but guys, I had over double that to narrow it down from. 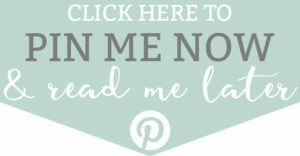 So I went through and selected half of the best recipes from bloggers meaning you’re getting the best of the best Thanksgiving recipes. 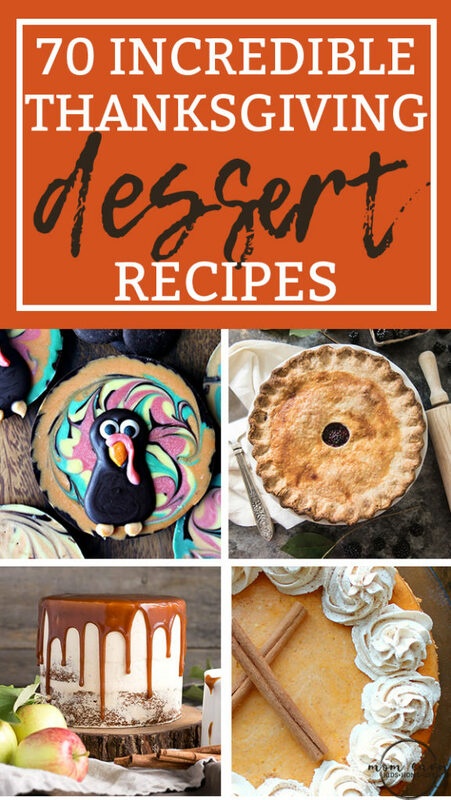 Some of the recipes are your classic pumpkin and apple pie recipes while others push outside of the traditional Thanksgiving box. 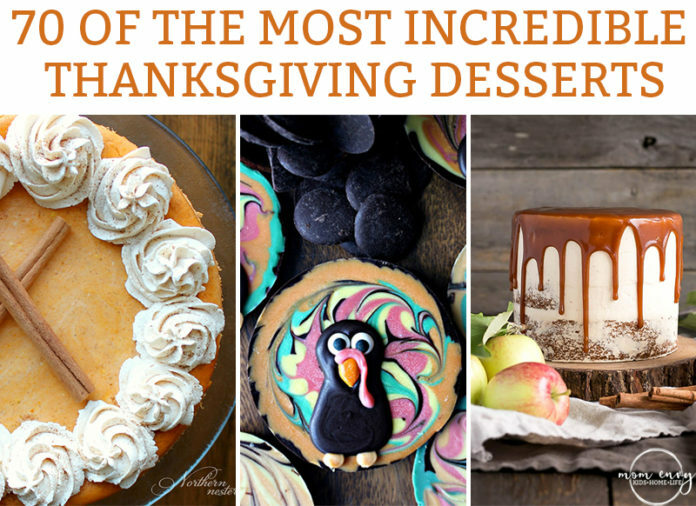 What’s your favorite Thanksgiving dessert? I’d love to hear. Need some more Thanksgiving recipes? 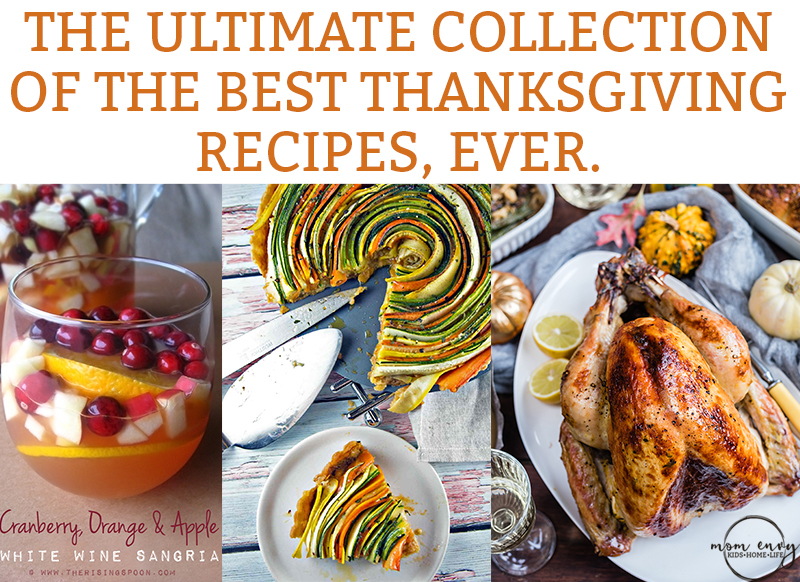 And don’t forget, we’ve got every recipe you could need for Thanksgiving! Check out the main thread here. This is a unique Thanksgiving recipe. 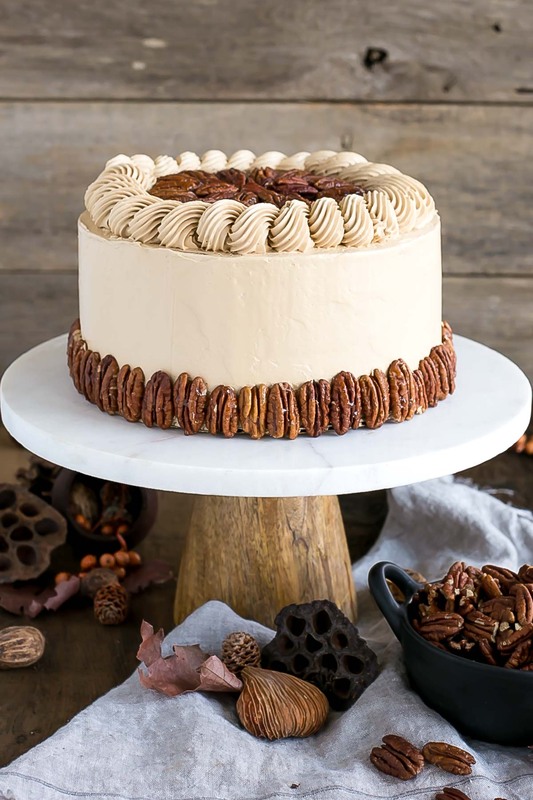 It’s not filled with your traditional fall flavors but it does have a rich maple flavor paired with chocolate and pecans. This cake comes together in less than five minutes and is baked in half an hour. It’s a wonderful last minute option. I also feel like you could add some cranberries to it to give it a little more Thanksgiving feel. 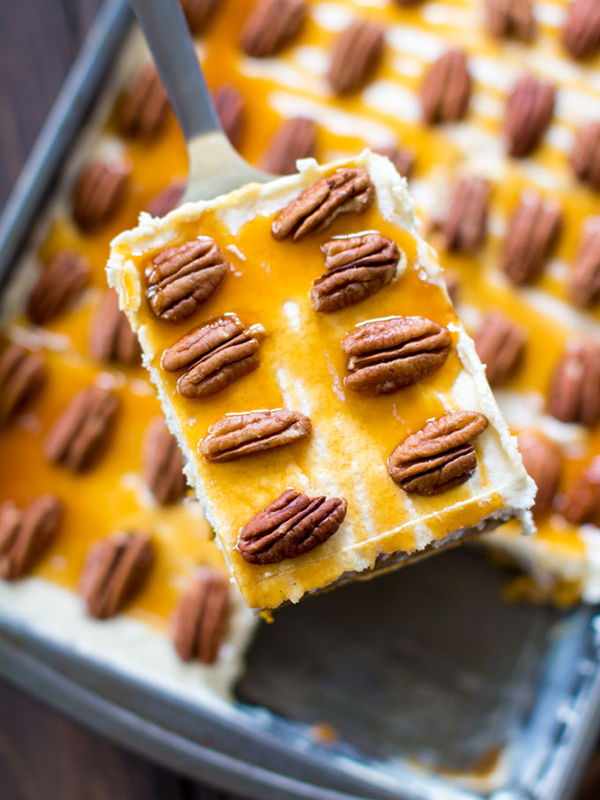 No bake desserts are the perfect solution to the busy holiday season. 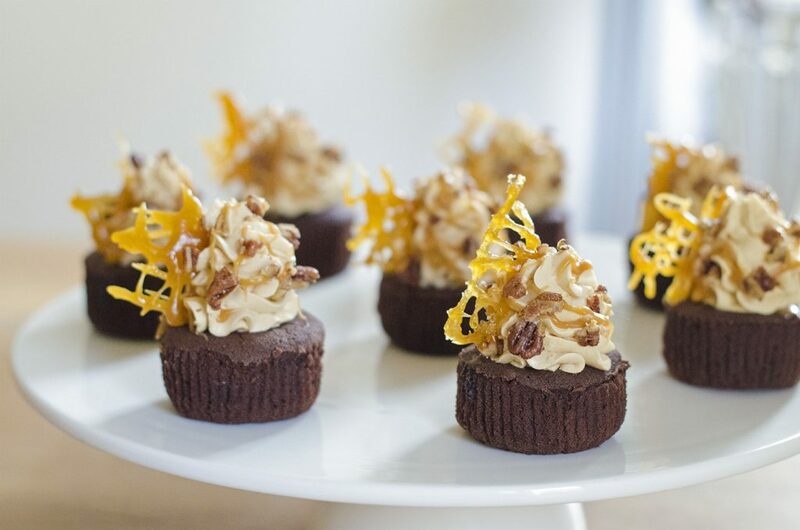 Plus, guests always love mini desserts. That way they can have more than one dessert without getting too stuffed. 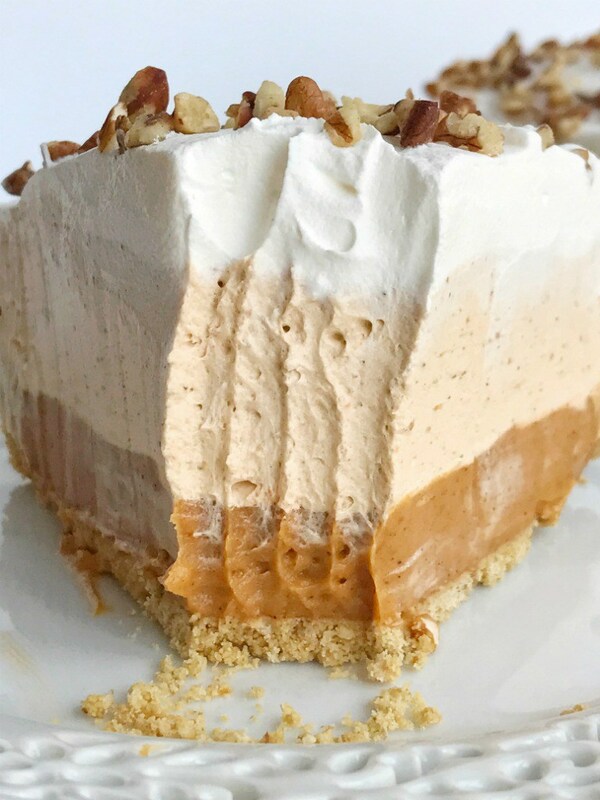 The use of maple in Learning and Yearning’s pie is a simple twist on a classic that provides sweetness without refined sugar. 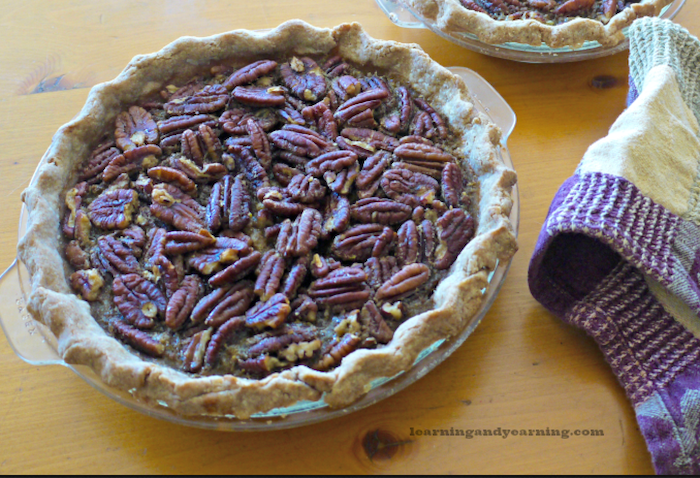 She also has a great tip for preparing the pecans you have to check out! Cranberries are one of my favorite fall ingredients because their color brings so much to a dish. 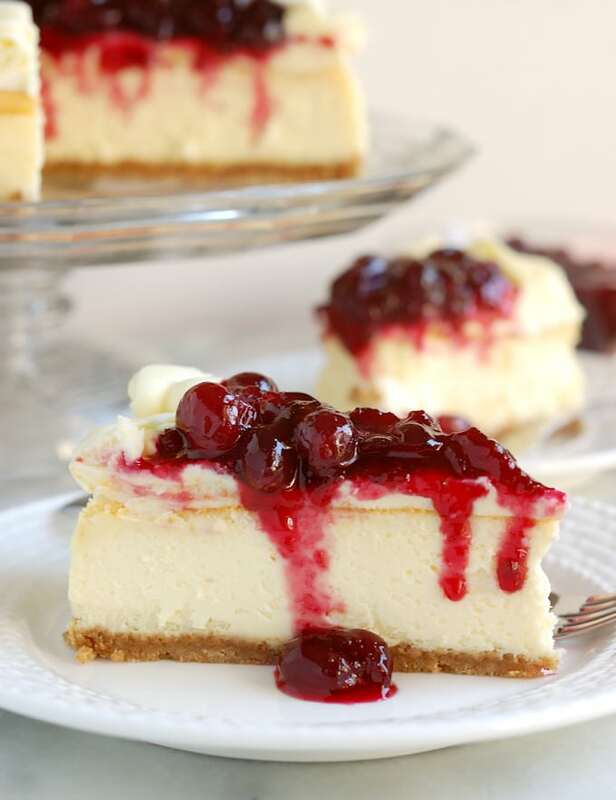 It’s no exception in this beautiful and delicious white chocolate cranberry cheesecake from Baking Sense. 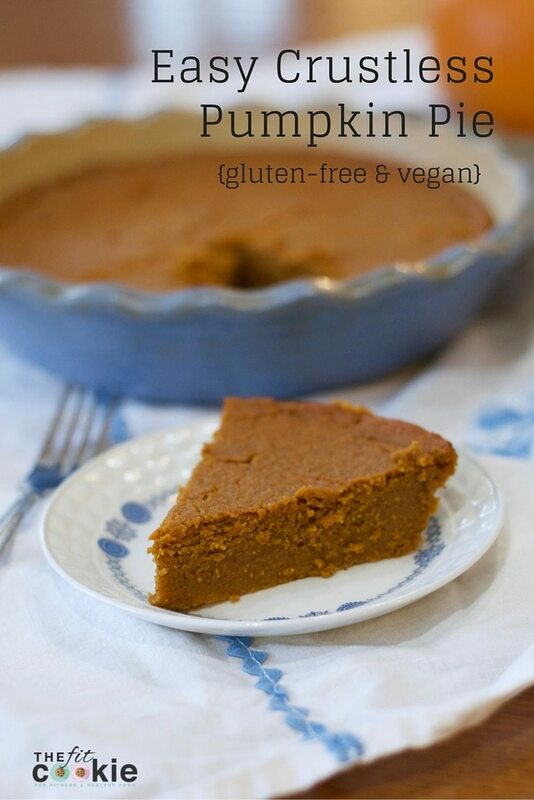 Looking for a way to enjoy your pumpkin pie without the gluten or dairy? Look no further. 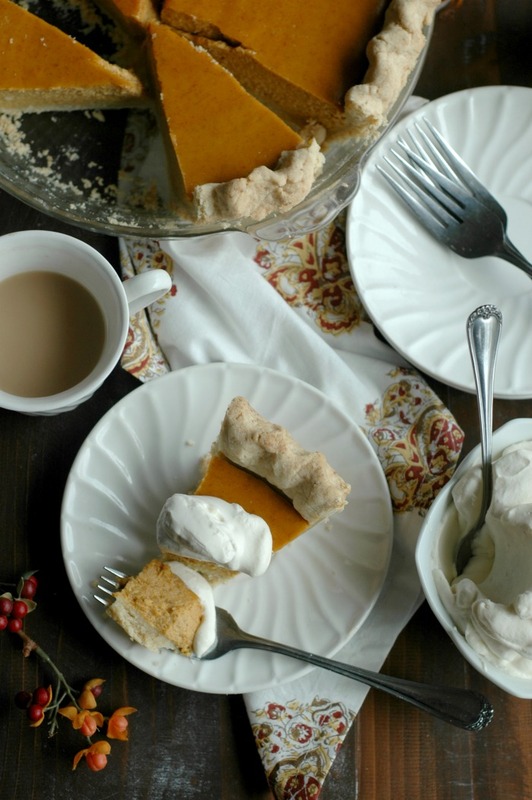 This pumpkin pie will fulfill your pumpkin pie dreams and meet your dietary needs at the same time. 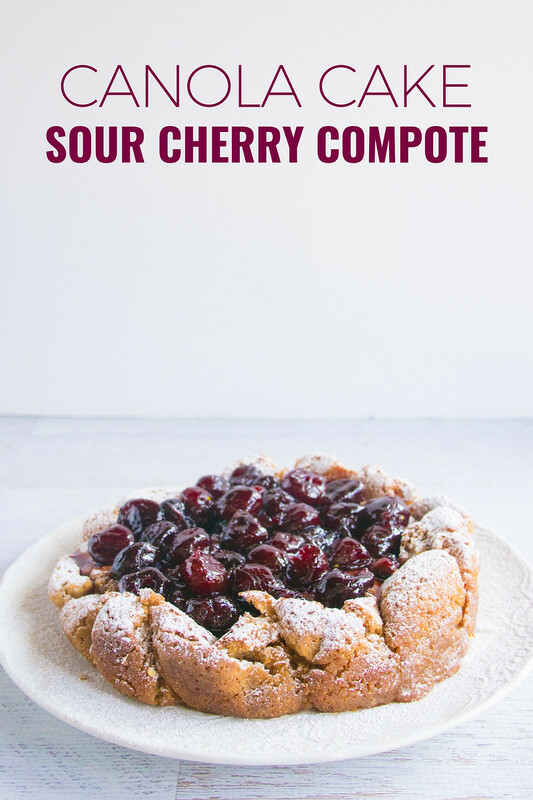 This dessert would actually make a great menu item for brunch as well. It’s semi-homemade which is super helpful during such a busy time. 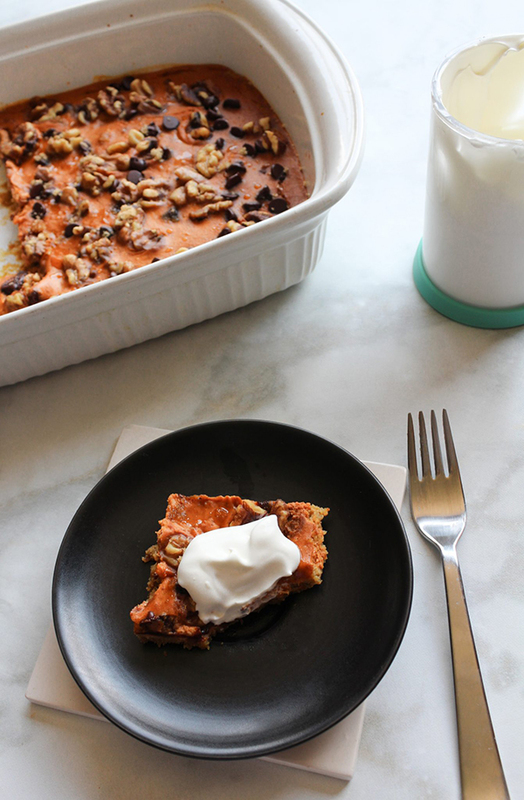 If you’re in need of a gluten free dessert for Thanksgiving, this one will fit the bill. Audrey pairs pecan pie (a classic) with chocolate and a brown sugar filling to make this mouth-watering dessert. Plus, they’re so cute in mini form. I love nontraditional desserts for Thanksgiving. Believe it or not, this cake is a take on olive oil cakes only using a higher-end canola oil. 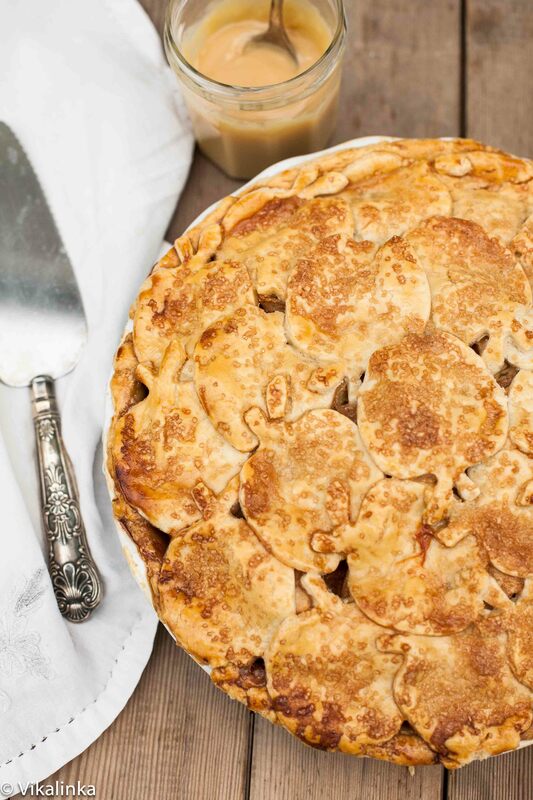 This apple pie is kicked up a notch with the addition of Kentucky Cider (whiskey). The alcohol is cooked off so it’s safe for all and you’re just left with the oakiness of the whiskey. 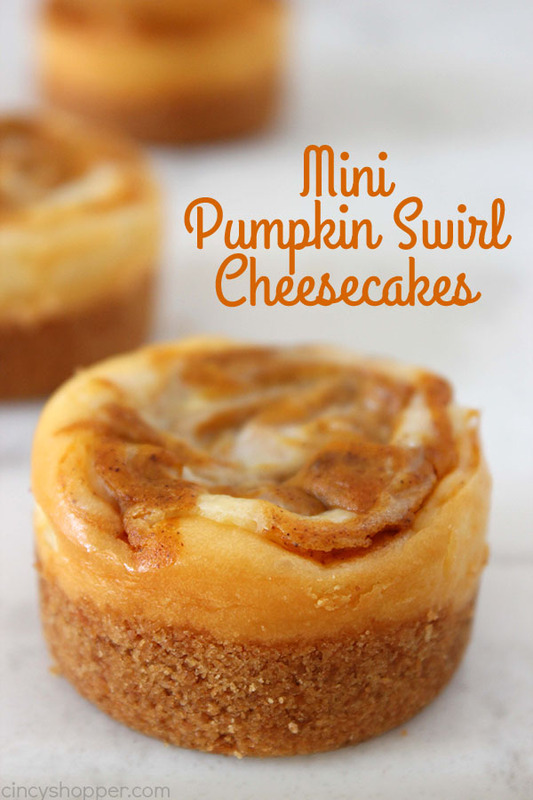 These little cheesecakes are an adorable ending to a big Thanksgiving dinner. They allow people to try more than one dessert or to just have a small mini cheesecake opposed to a large slice of pie. 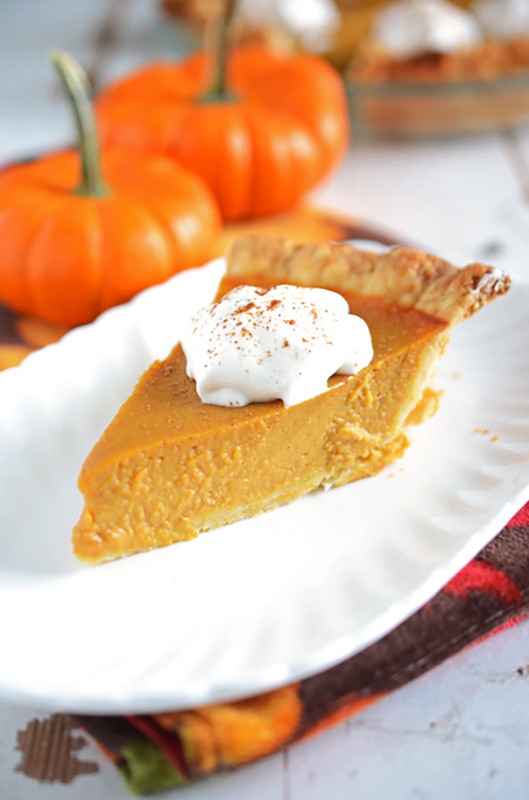 This pumpkin pie is quick and easy to make. 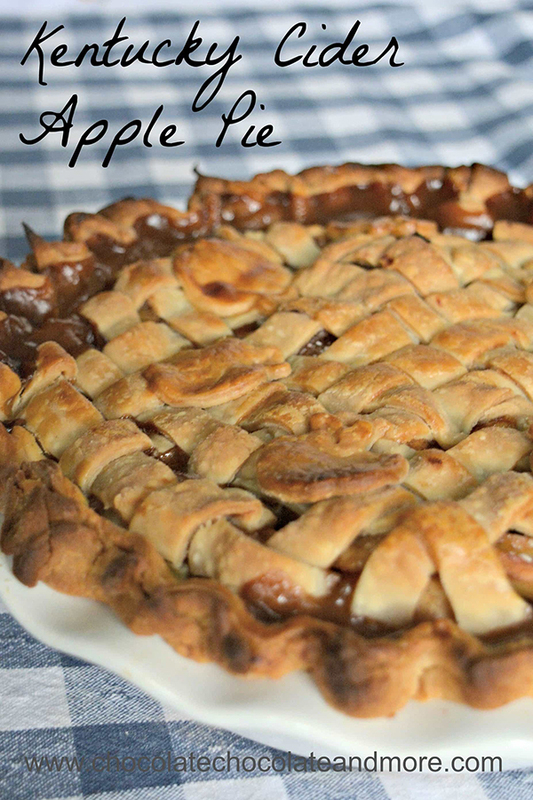 If you have guests that eat a gluten free diet, then this pie will allow them to indulge as well. 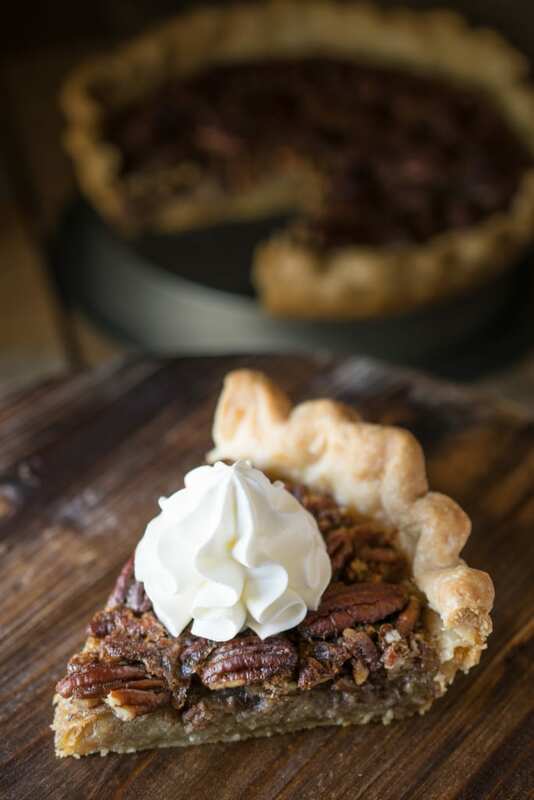 Pecan pie is a great option for a Thanksgiving dessert. It’s flavors are deep and rich and perfect for fall. This cake is a show stopper. Your guests will truly be impressed with your baking skills with this delicious cake. Yep, you read that right. This is a pie made from carrots. 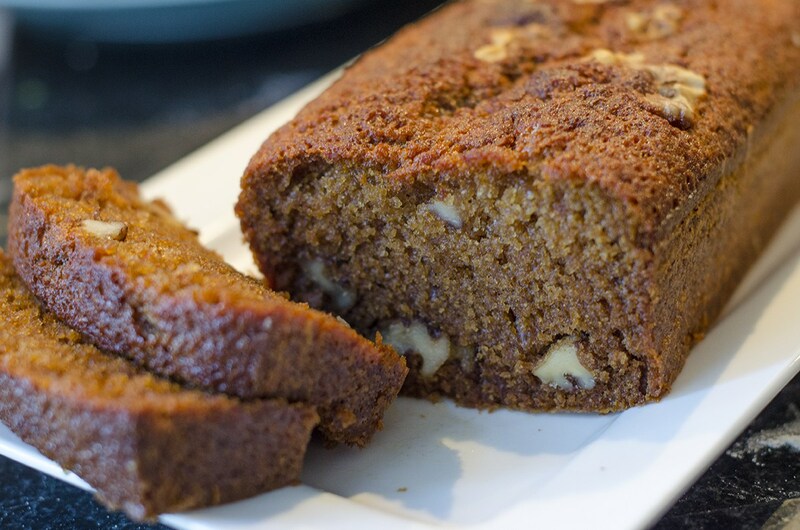 Don’t be fooled by the use of a vegetable in a dessert, just like carrot cake it’s sweet and delicious. 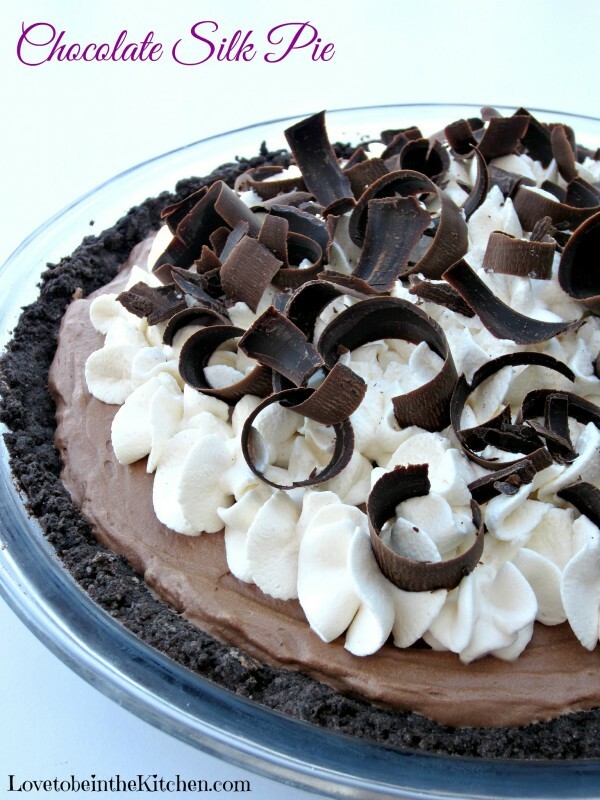 Chocolate silk pie is a nice change from traditional fall desserts. It will definitely please your chocolate-loving guests. 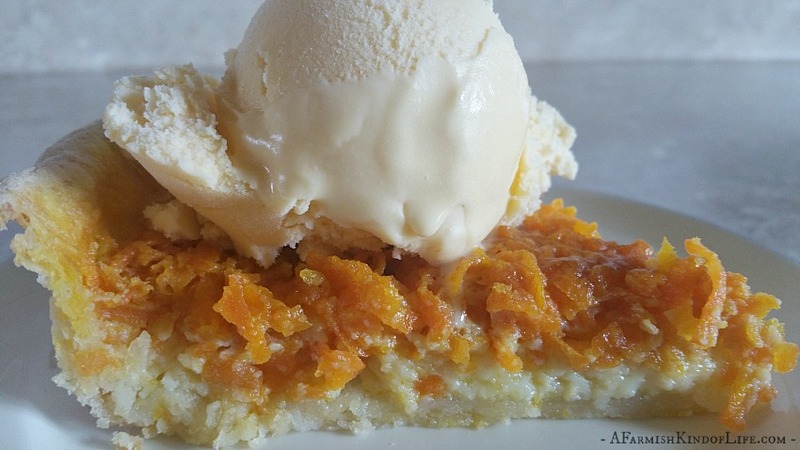 This cake actually uses real clementines in the batter. 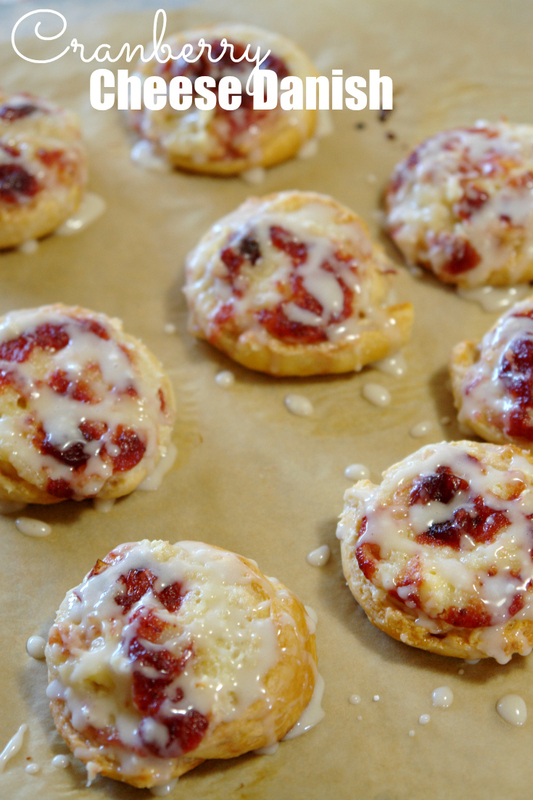 It’s topped with a bright cranberry glaze. 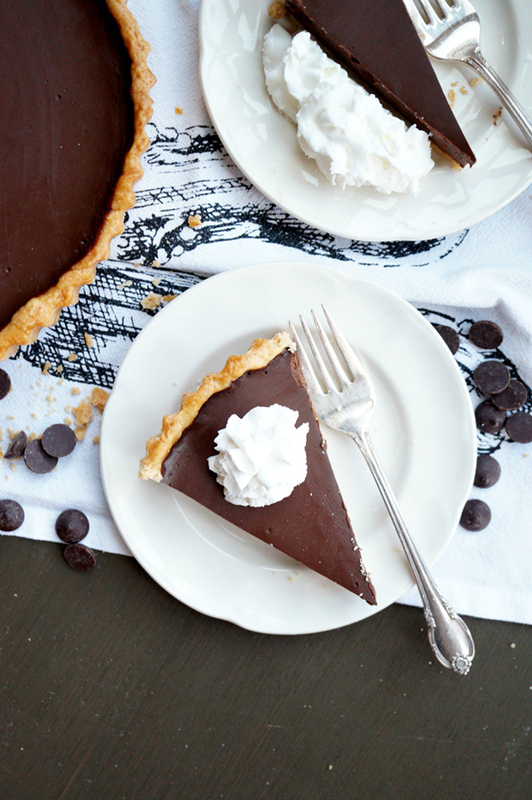 There are two layers of chocolate as the base of this pie – two layers of delicious chocolate. Then, it’s topped with a delicious and creamy pumpkin mousse. Lastly, it’s topped with a layer of homemade whipped cream. If you’re looking for a traditional holiday dessert, you’ll want to check out this recipe for old fashioned apple pie. It’s simple and classic – perfect for Thanksgiving. Prepping for Thanksgiving can really heat things up – literally. Kitchens become over-heated from the constantly running oven. This no bake pie will help keep things a little cooler. Plus, it’s super easy to make that even the kids can help! Could this cake be any prettier? Olivia always creates cakes that will totally impress your guests and this one is no exception. 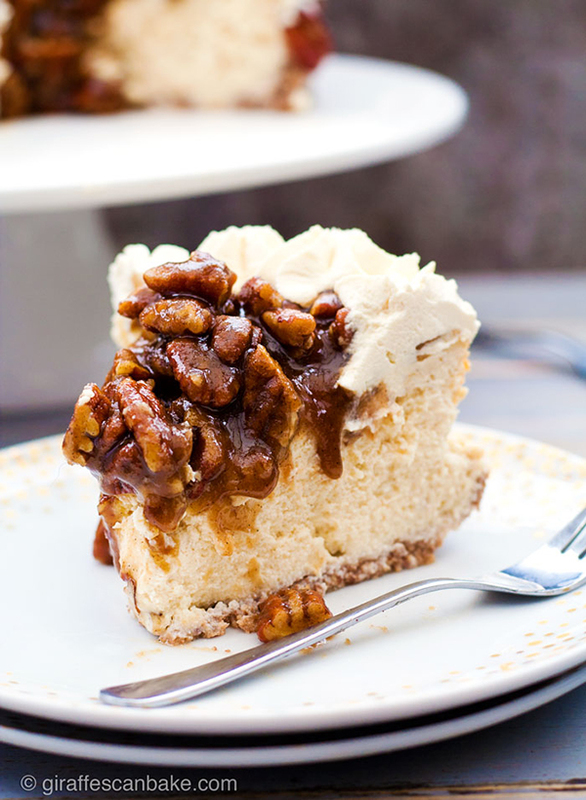 She takes traditional flavors from a pecan pie and turns them into a cake. This recipe is definitely worth checking out. 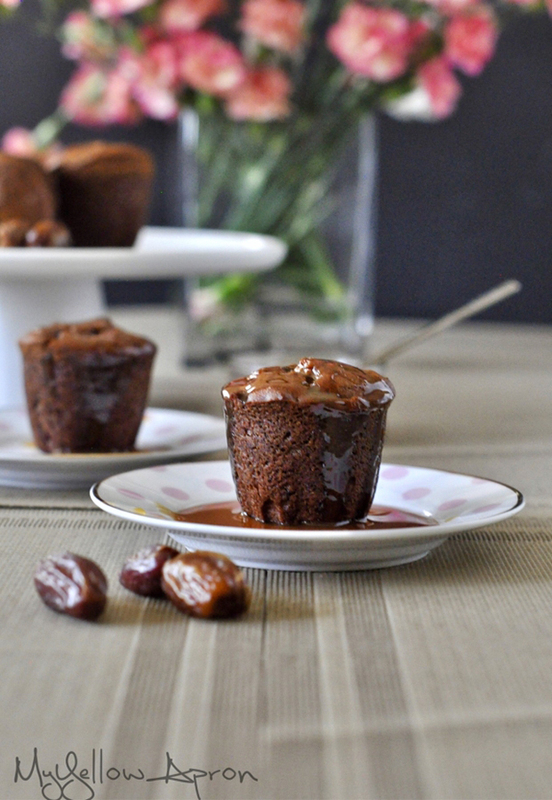 And if you want to drool over some more beautiful pictures of desserts, head on over to her blog. 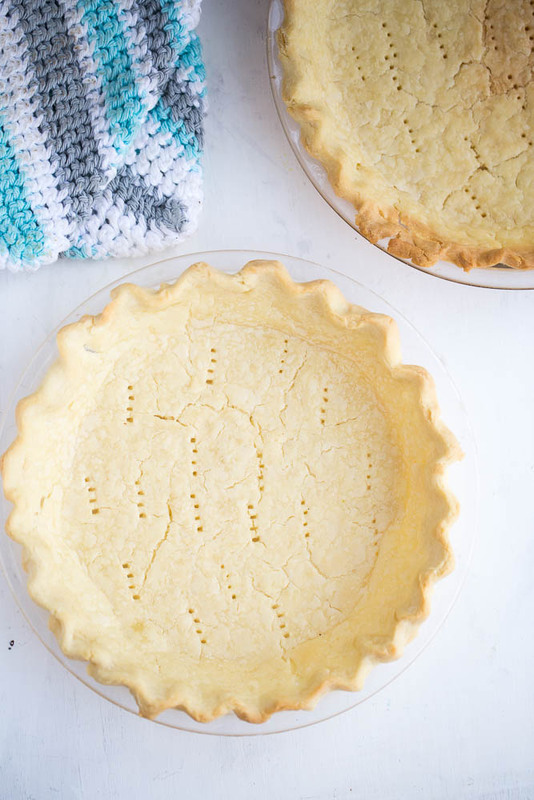 Are you in need of a no-fail, go to gluten free pie crust recipe? Then check out Perry’s Plate for an easy to follow recipe that will become your new favorite for all of your pies. 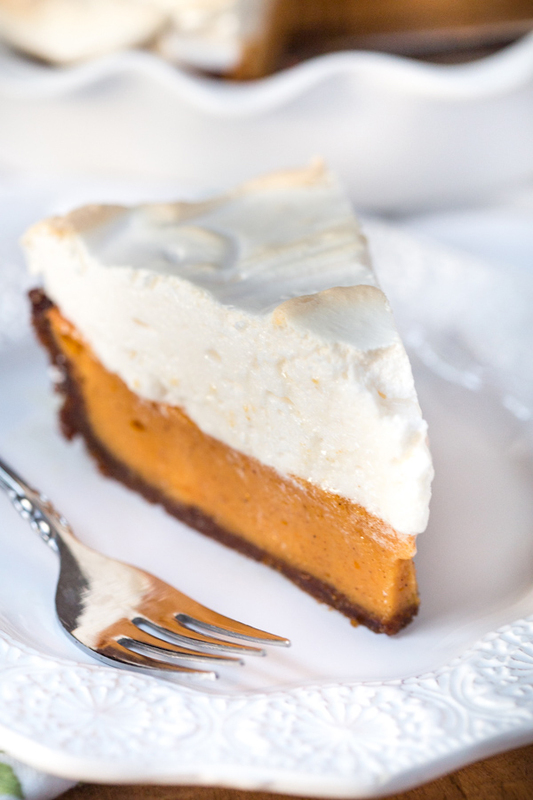 Looking for an alternative to pumpkin pie or pumpkin cheesecake? 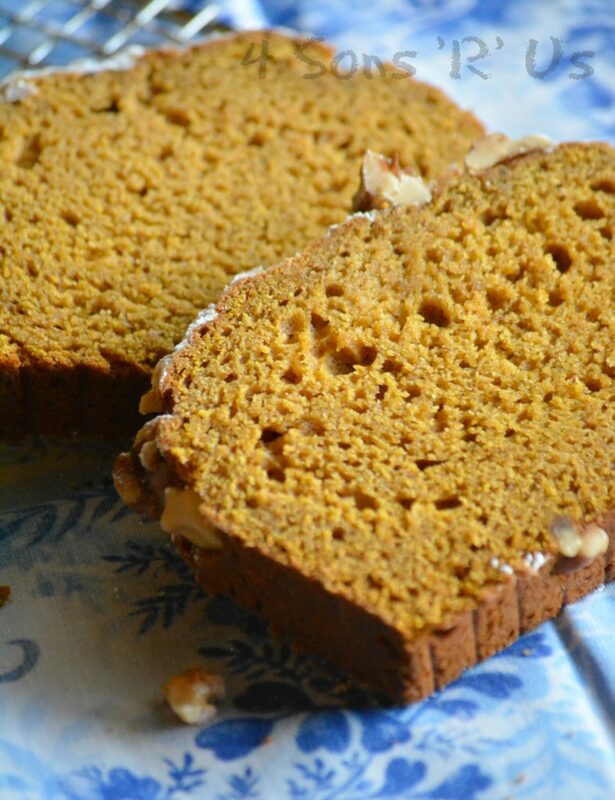 This sweet cake is lightly flavored with pumpkin spice. Then it’s stuffed with a decadent cheesecake filling. 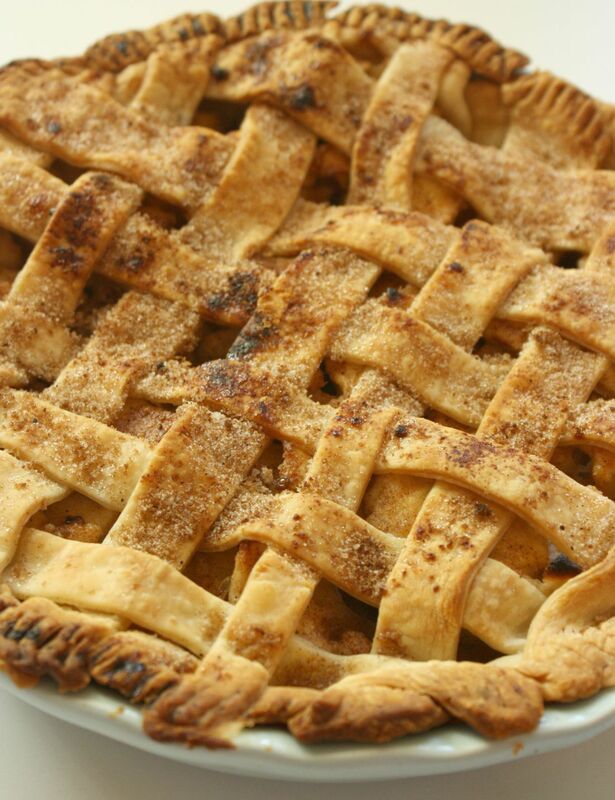 Looking for a spruced up apple pie? 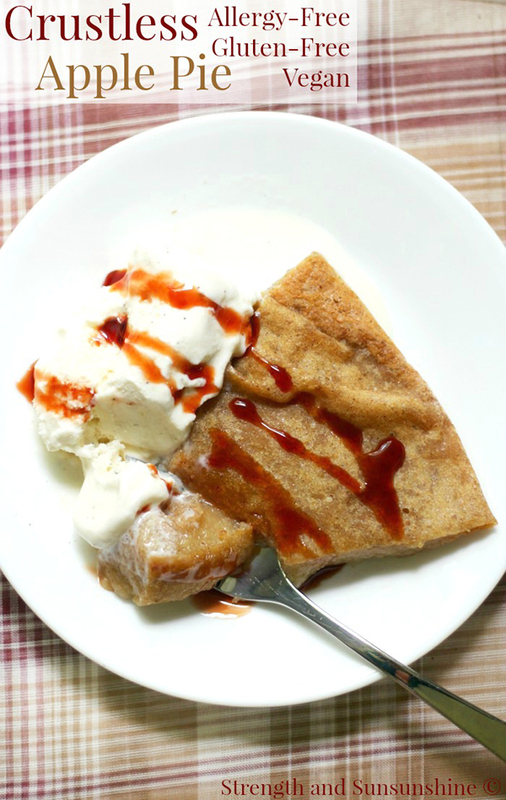 Julia pairs a traditional apple pie with the rich flavor of dulce de leche. 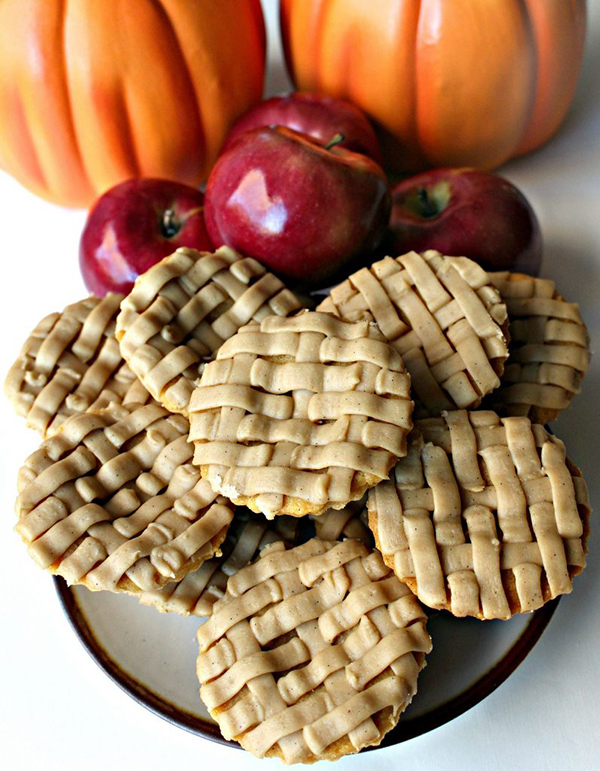 She makes her pie even more special by using a cookie cutter to cut apples out of her pie crust. Are you a pumpkin spice lover? 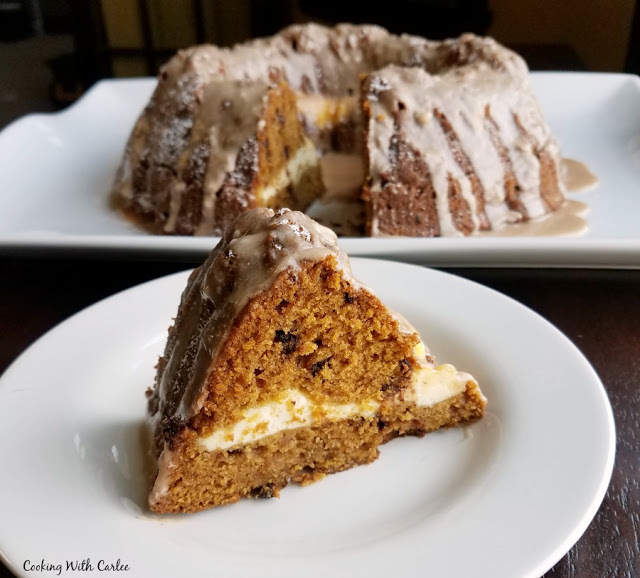 Then you’re sure to love this pumpkin spice cake from My Cake School. It’s full of flavor and is super moist (sorry for those of you that hate that word, but it’s the truth). 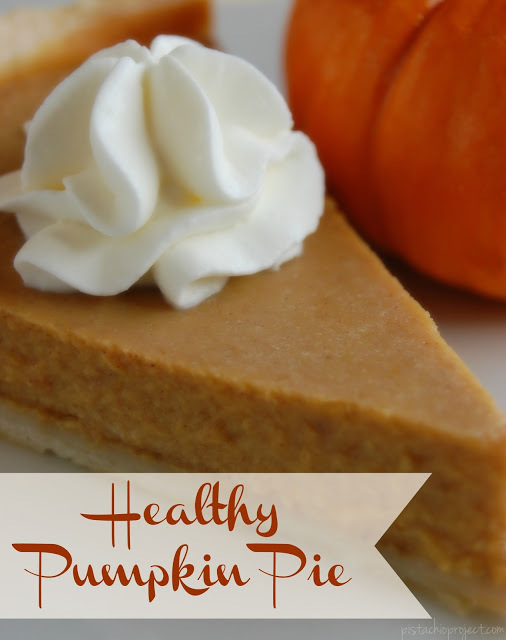 Healthy pumpkin pie?? It’s really a thing! 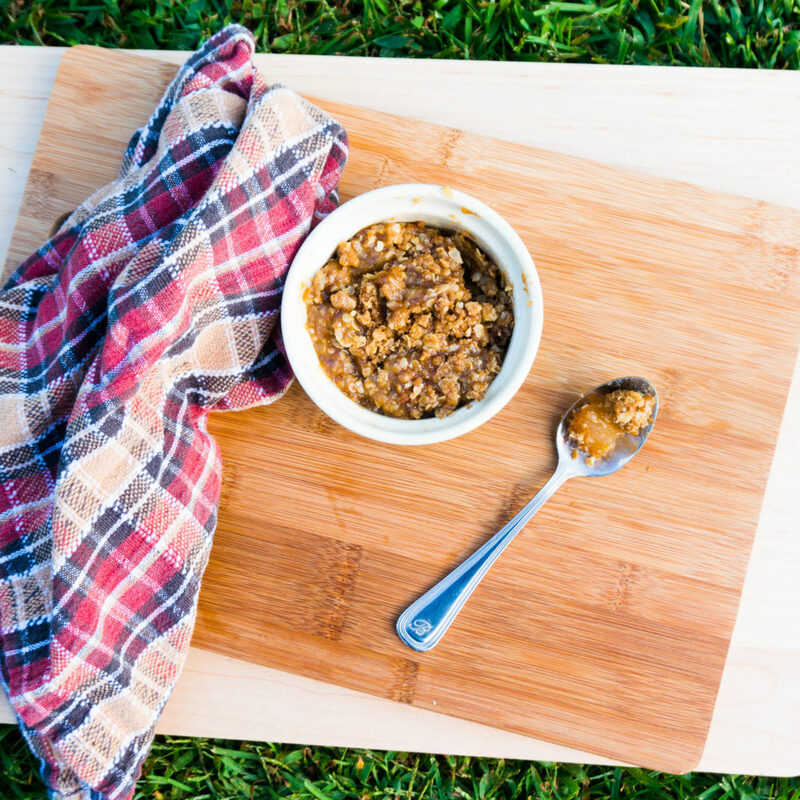 Check out this recipe if you want to indulge this year without all of the guilt. Oh my goodness, aren’t these adorable?? And they are surprisingly easy to make. 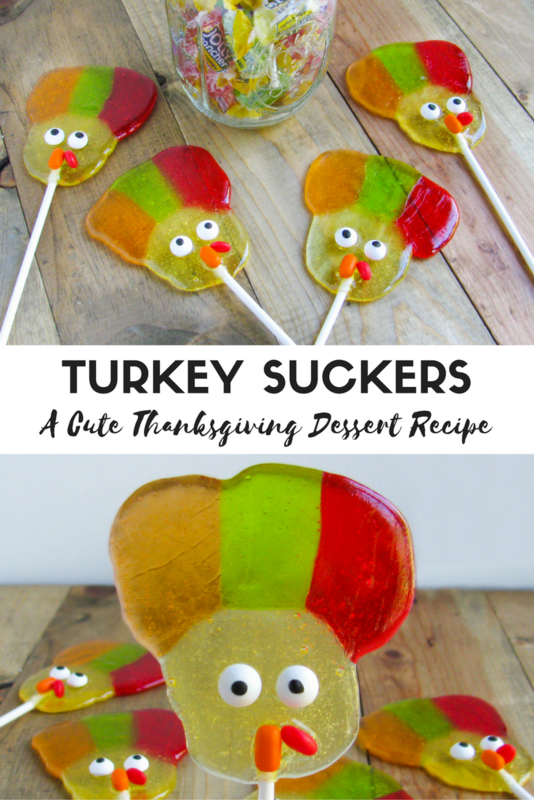 If you’ve got little ones coming to your Thanksgiving this year, they’d love these! 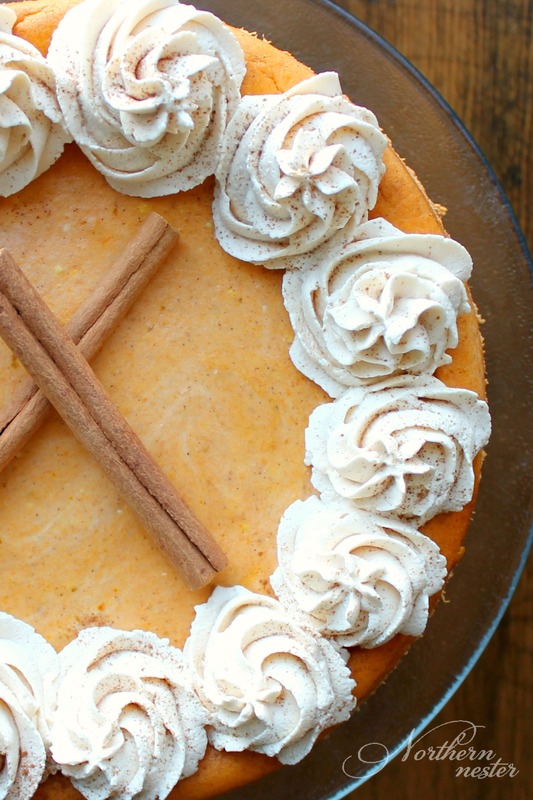 This is a unique twist on a pumpkin dessert for Thanksgiving. It’s a mix between a bread and a cake. You can choose to keep it simple and or top it with frosting to make it more like a cake. 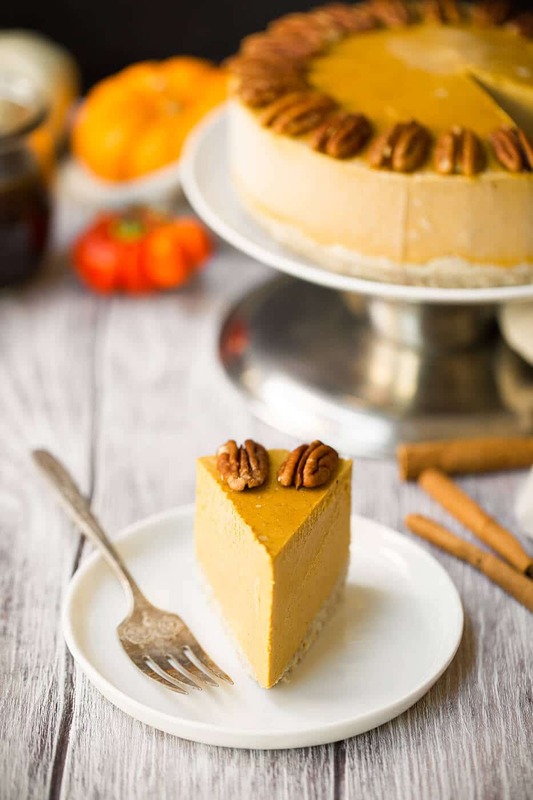 Dairy free pumpkin cheesecake – perfect for your Thanksgiving guests that can’t have dairy products. On top of it, this is a no-bake dessert that can be made a day ahead of time. Divalicious is a great resource for low carb, gluten-free recipes. This recipe fits both of those things. 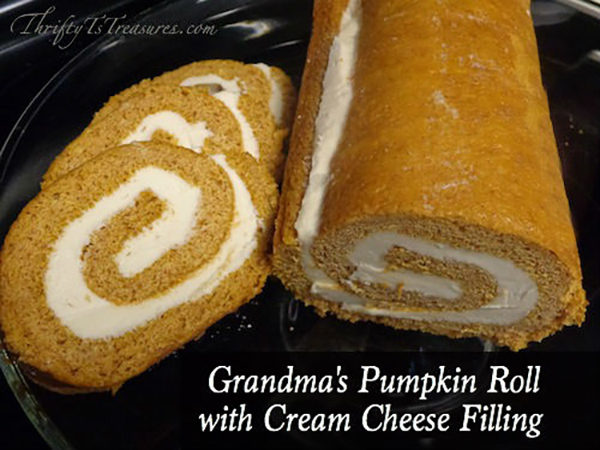 Check out her recipe for her take on a pumpkin dessert. 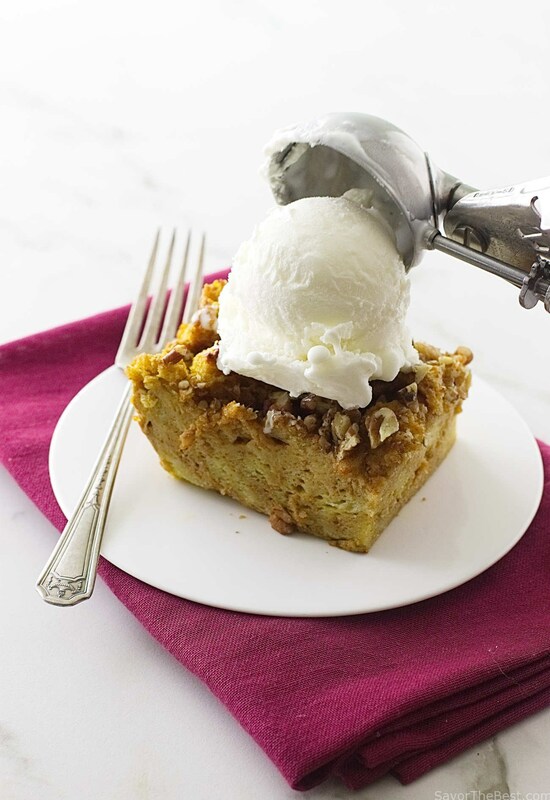 Bread pudding is such a comforting, fall food. 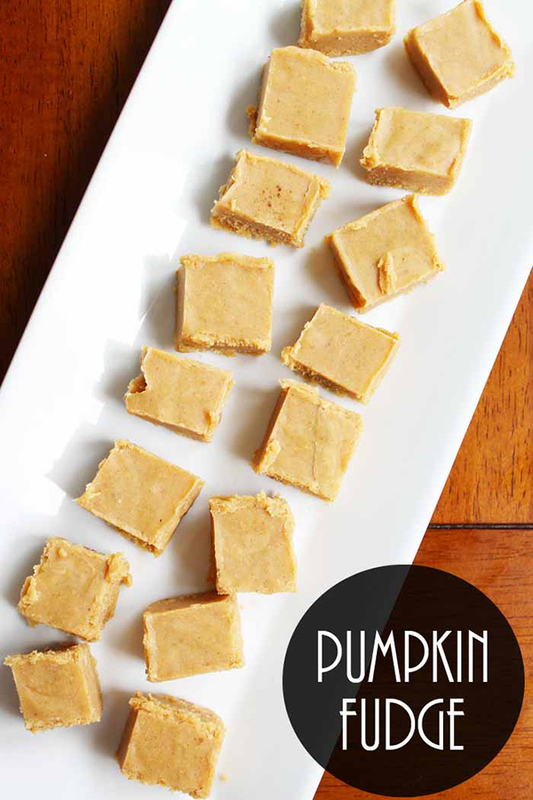 In this recipe, it’s paired with pumpkin for a perfectly scrumptious Thanksgiving dessert. 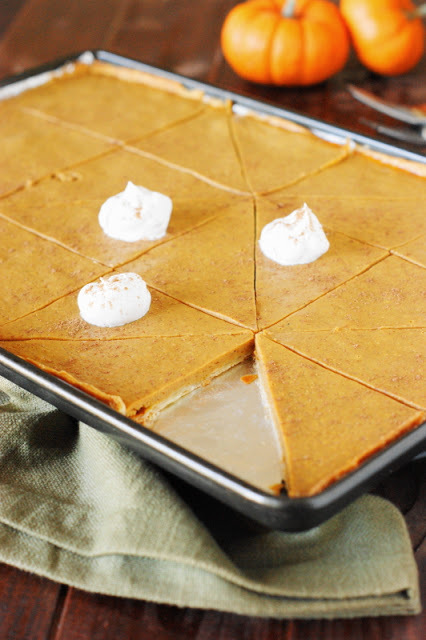 Slab pie is such a fun take on pumpkin pie. If you’ve got a big crowd coming this Thanksgiving, you have to check out this recipe. One pie can feed 24 people! 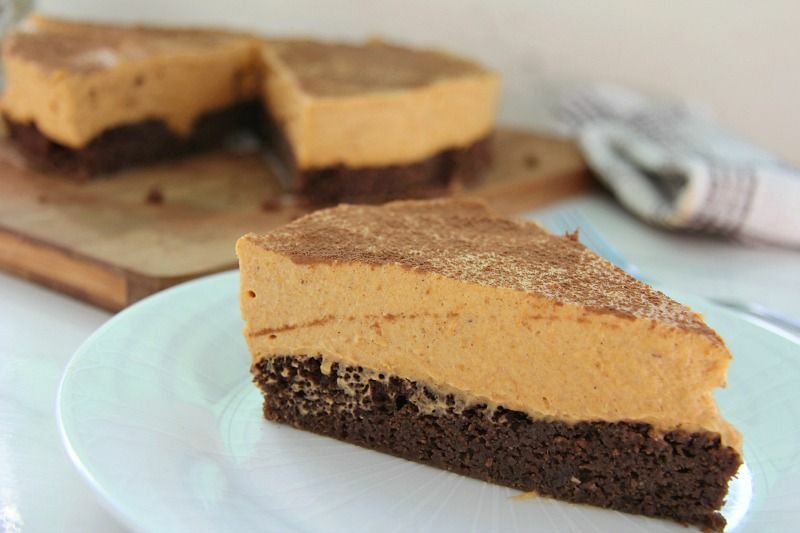 This beautiful pumpkin pie cheesecake is THM:S (trim healthy mama). It would be a great option for anyone that is following the THM:S diet. Looking for a rich and decadent Thanksgiving dessert? 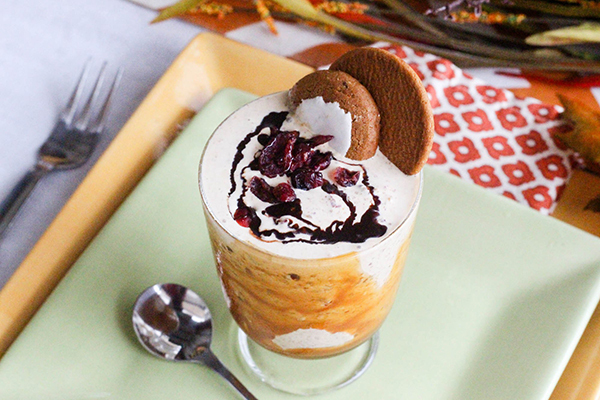 You won’t be disappointed with this dreamy fall dessert. Are you in need of something that’s a little less pumpkin or apple and a little more chocolate? This dark chocolate truffle tart is like eating a giant chocolate truffle. It’s rue to be a new family favorite. If you’ve never tried sweet potato pie for Thanksgiving, you’re missing out. And it’s actually easy to make! 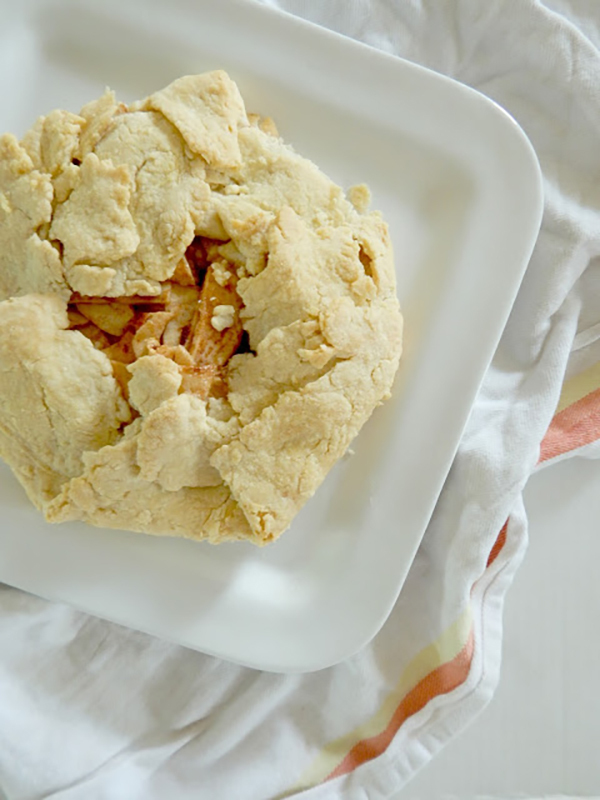 This rustic apple pie will make a beautiful center piece on the dessert table. And because it’s rustic you won’t have to fight to get the pie dough perfect. 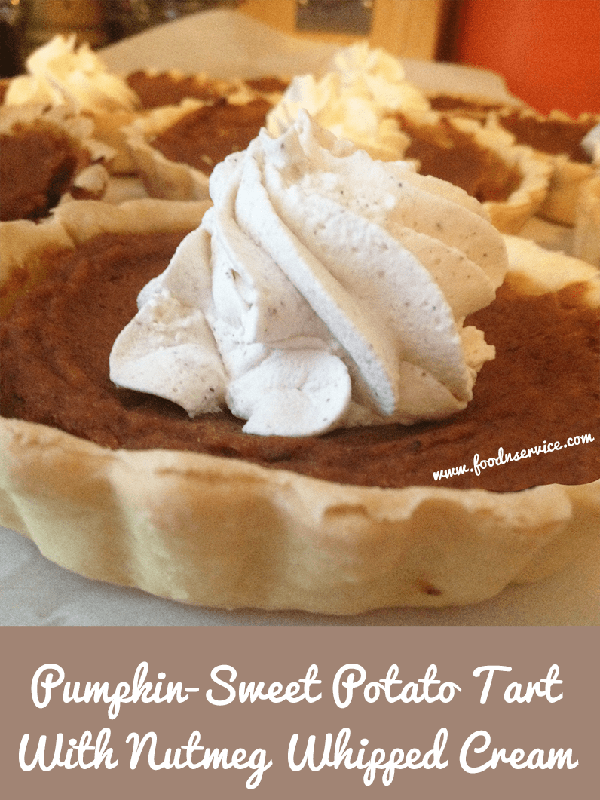 David tops off his pumpkin-sweet potato tarts with a unique nutmeg whipped cream. Even if you decide not to make the tarts, you’ll want to check out how to make his whipped cream because it would go great with most fall desserts. Poke cakes are always a fun and easy dessert. You can even use cake mix to reduce the amount of prep time. These cupcakes are not your traditional cakey cupcake and they’re not exactly pumpkin pie either. They are somewhere in-between. 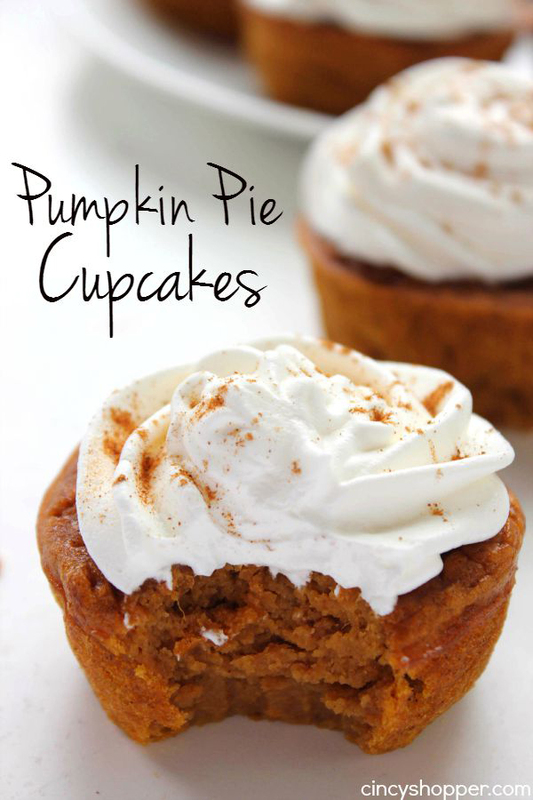 They don’t require a special frosting, simply top them with whipped cream like you would a pumpkin pie. 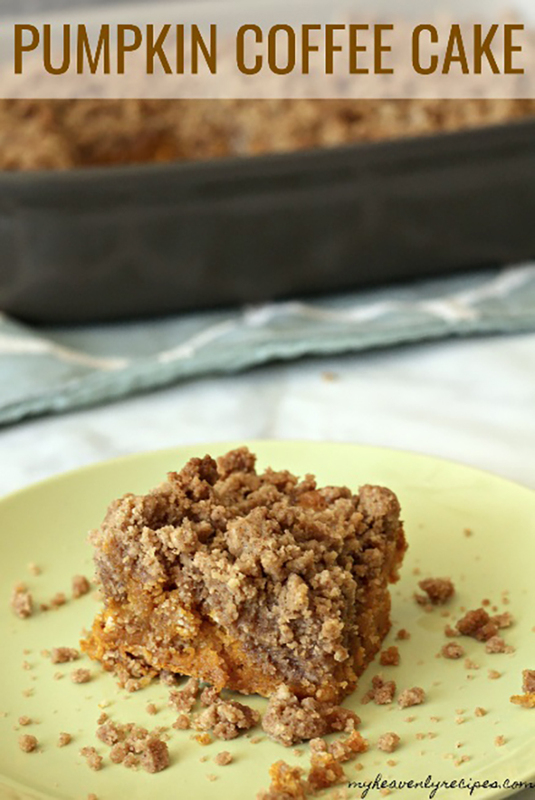 Amie has a different take on pumpkin pie with her pumpkin pie crunch. 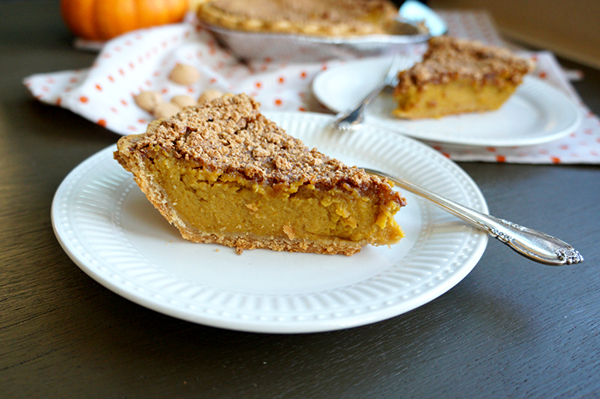 The pumpkin pie base is topped with a nutty, buttery, and crunchy topping. Plus, it’s easy to make without the fuss of a crust. 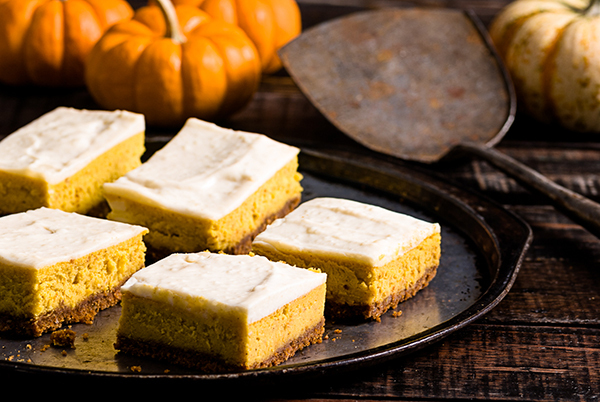 Matt makes his pumpkin cheesecake bars with a special ingredient: homemade pumpkin puree. In addition, the crust is made from gingersnaps which adds so much extra flavor to the cheesecake. 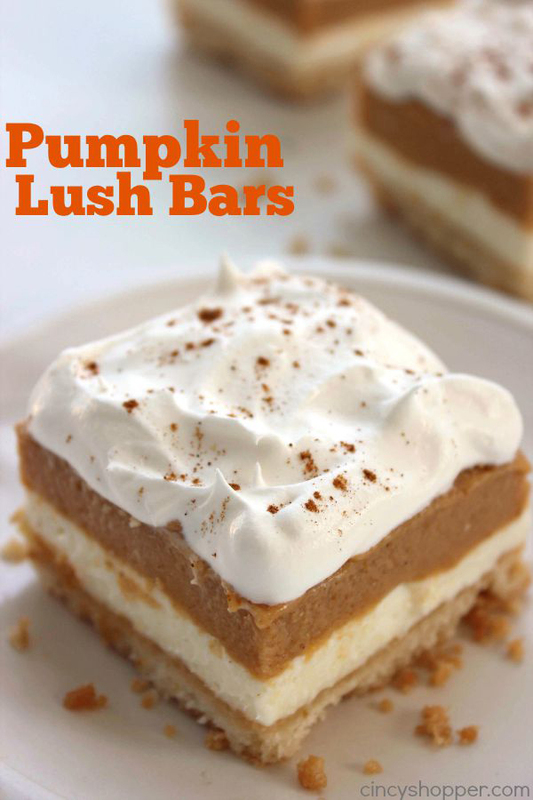 If you’re a pumpkin cheesecake lover, you’ll definitely want to check out Matt’s bars. This fudge would make a wonderful hostess gift. It’s so easy to make and includes a secret ingredient I would have never guessed. You’ll have to check it out to find out. I couldn’t decide if this should be included with breakfast/brunch or dessert. In the end, I decided it could go either place so I kept it in the dessert round-up so that it wouldn’t be missed. 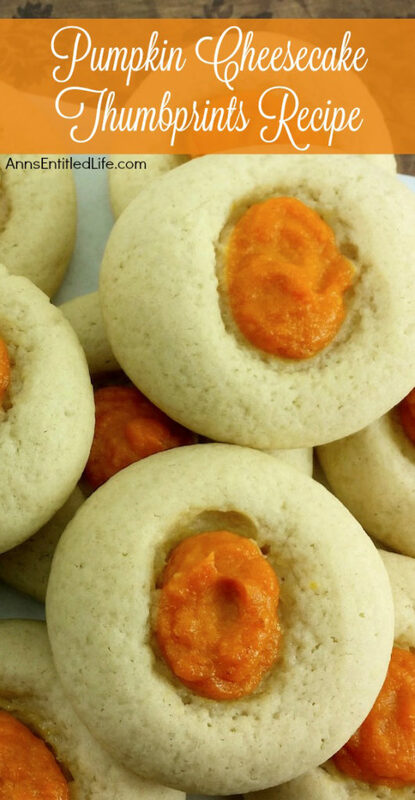 Ann’s thumbprint cookies are the perfect bite-size dessert for Thanksgiving. People will love being able to have more than one dessert (but be careful because these are so easy to grab people will probably steal these before dessert). Valentina starts off her recipe with homemade roasted pumpkin. She finishes it with crushed amaretti cookies for a special little touch. 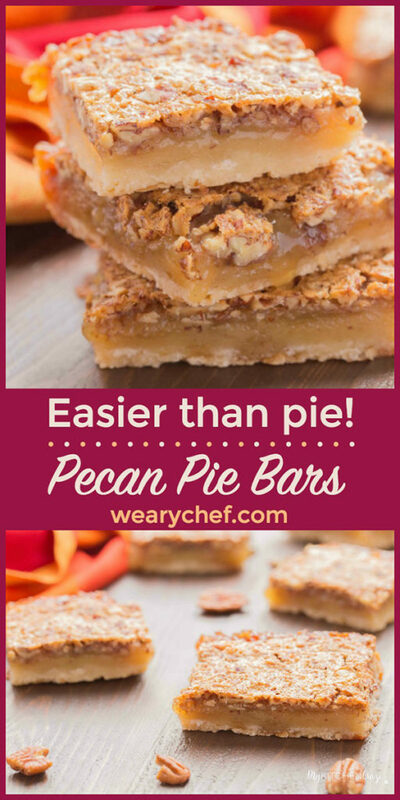 Are you looking to make pecan pie without all of the hassle? Then check out this recipe from The Weary Chef. There is something so special about getting a small little dessert to yourself. 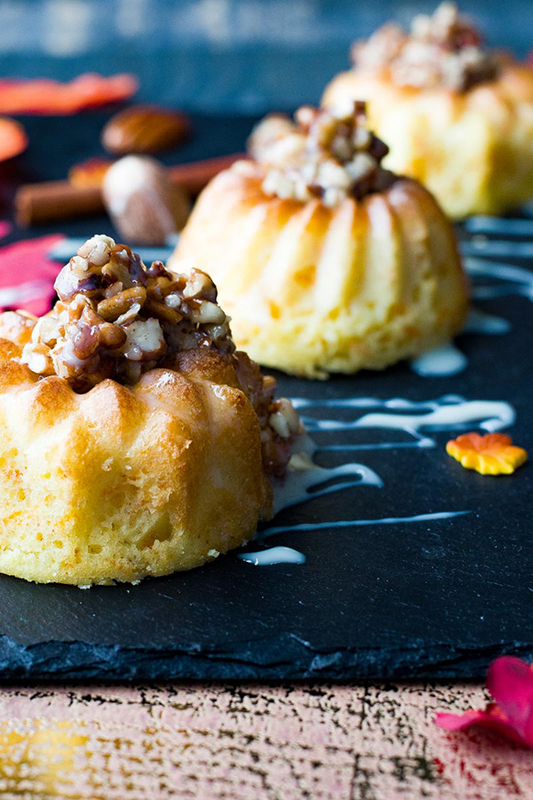 These unique little cakes are sure to impress your guests. 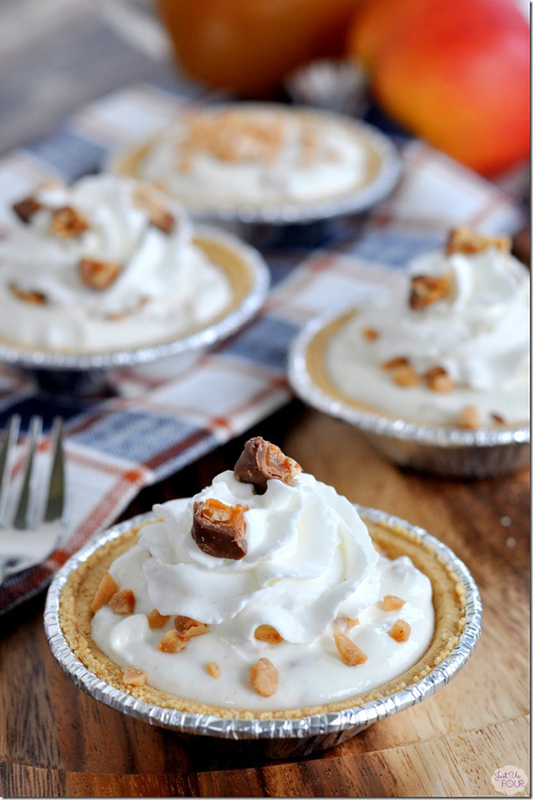 These little pies are so easy to put together. They are semi-homemade with many store-bought ingredients to speed along the process. Instead of a traditional cream of pudding filling, they’re filled with yogurt. Cupcakes are a nice alternative to all of the pies you get on Thanksgiving. 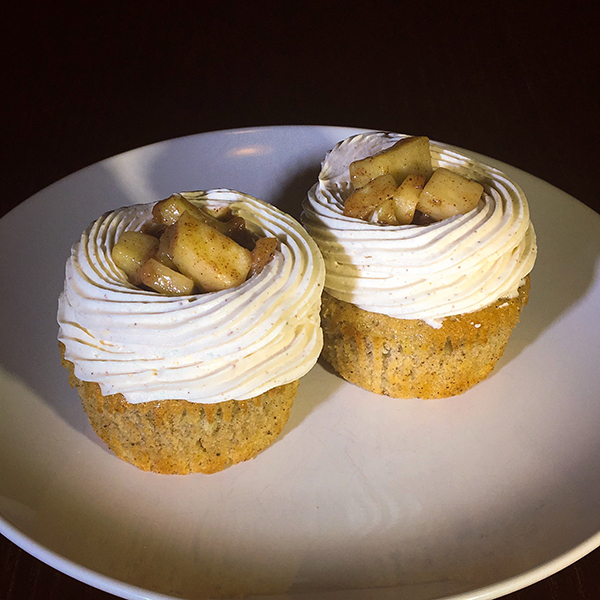 These cupcakes have a rich brown butter frosting and are topped with a delicious apple pie filling. 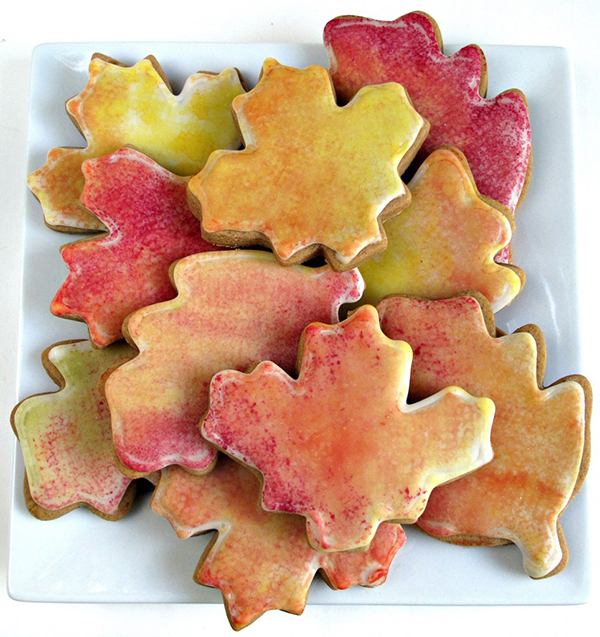 Aren’t these leaf cookies adorable? Gingerbread is not only a great fall flavor but the color is the perfect backdrop for the decorated cookies. 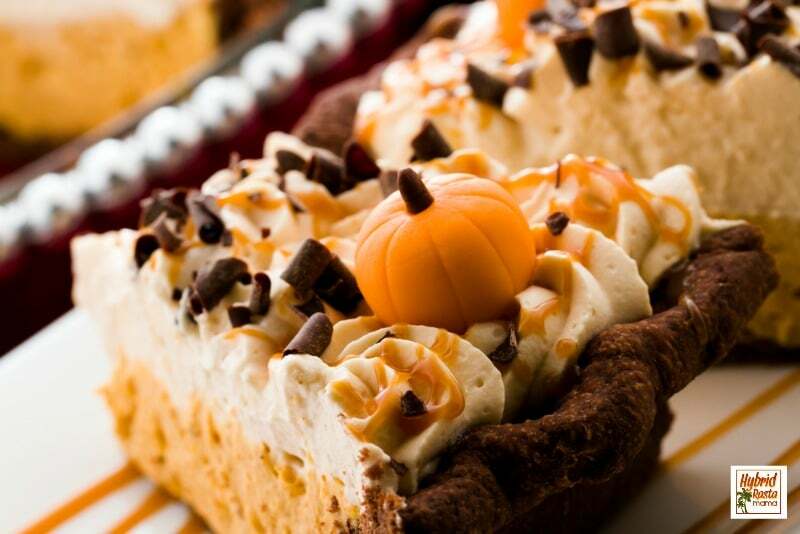 Pumpkin and chocolate come together in this delicious Thanksgiving dessert. I love how easy this dessert is to put together. This recipe couldn’t be easier. 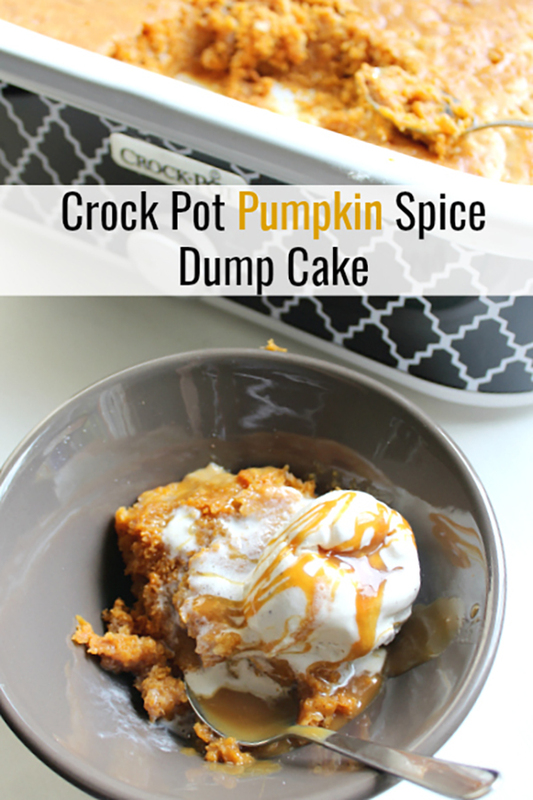 You dump all of the ingredients into a crock pot and let it do all of the work! This cake is semi-homemade which is always my favorite way to make a dessert (we all need a little help getting things done quicker this time of year!) 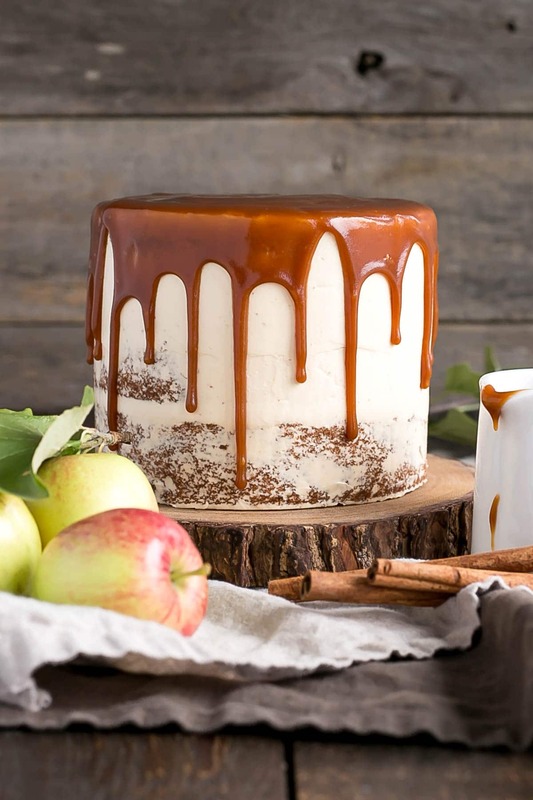 This dessert is so decadent with it’s layers of caramel, caramel mousse, apples, pecans, and cake. 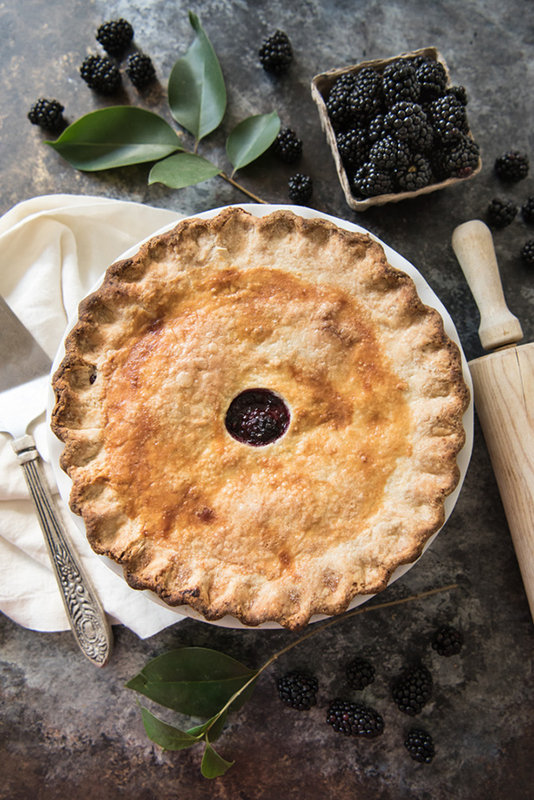 Isn’t this one of the prettiest pies? It is so simple and homey looking. While black berries aren’t a traditional Thanksgiving flavor, they’re a nice change from all of the standard fall flavors. 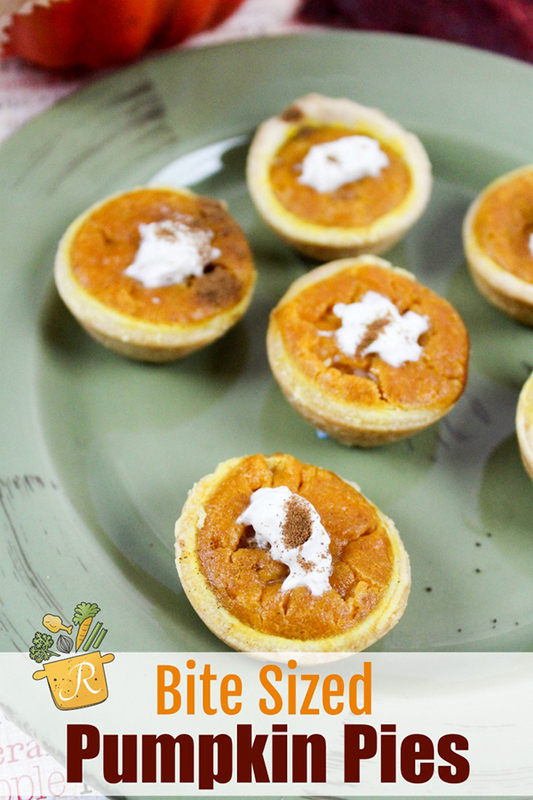 Aren’t these little bite size pumpkin pies so cute? They’re the perfect way to end such a large meal. 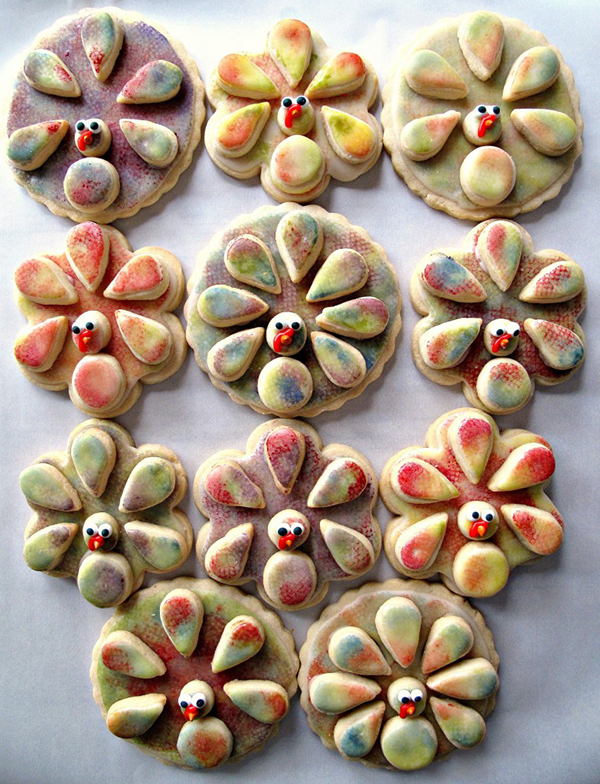 These little faux pie cookies are so sweet. Her Thanksgiving-themed care box is so adorable. If you’re in need of a Thanksgiving care package idea, you’ll really want to check hers out. 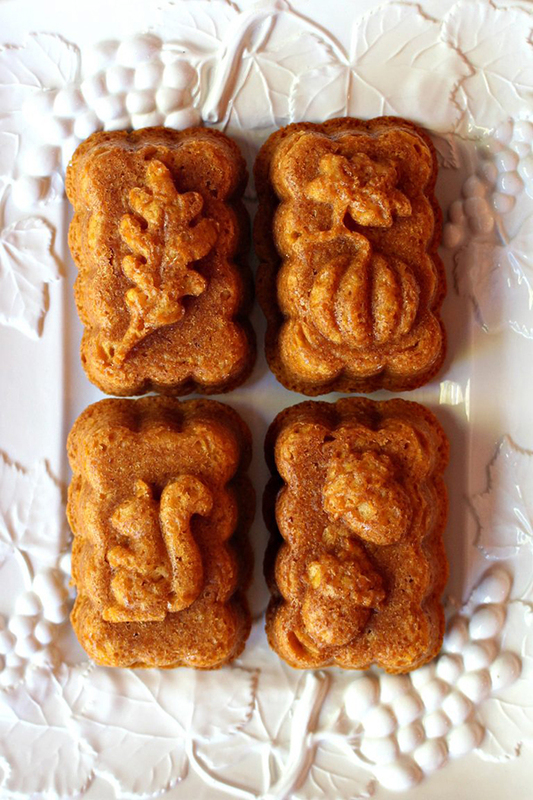 These little adorable pumpkin butterscotch cakes are designed so they can be sent in a care package (but they also work well as a Thanksgiving dessert). Butterscotch chips (melted) add a unique sweet flavor to the cakes. If you’re looking for a smooth silky pie filling in a crispy crust, look no further. Mary gives some great tips on how to keep your crust crispy and she’s created an ultra-smooth pie filling. I know, I am sharing a lot of Wendy’s recipes but they are just too cute. 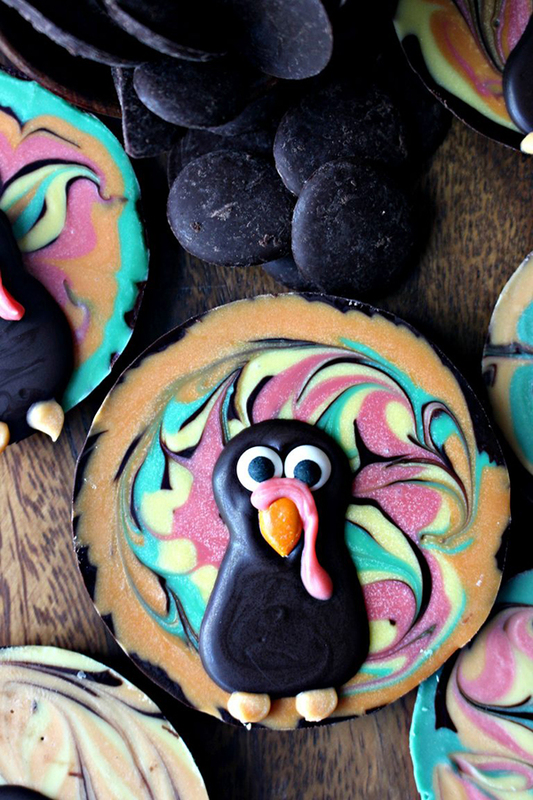 These little turkeys are made completely out of chocolate bark discs. Old family recipes at Thanksgiving are always some of the best (even if they aren’t from your family). They’re tried and true recipes that have been passed down for a reason – they’re delicious. While it looks complicated, Tshanina said it was actually easier than expected. This is one of the prettiest desserts in this round-up. 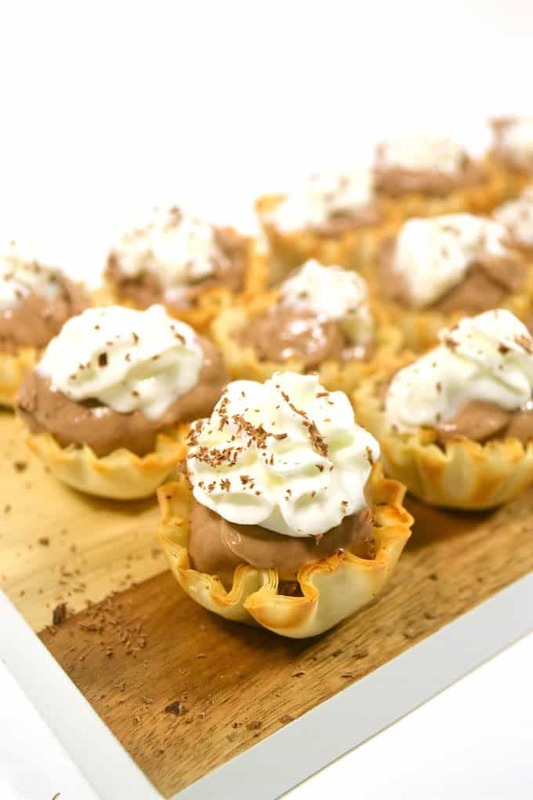 It is a show stopper that will definitely make your guests eager to get to dessert. 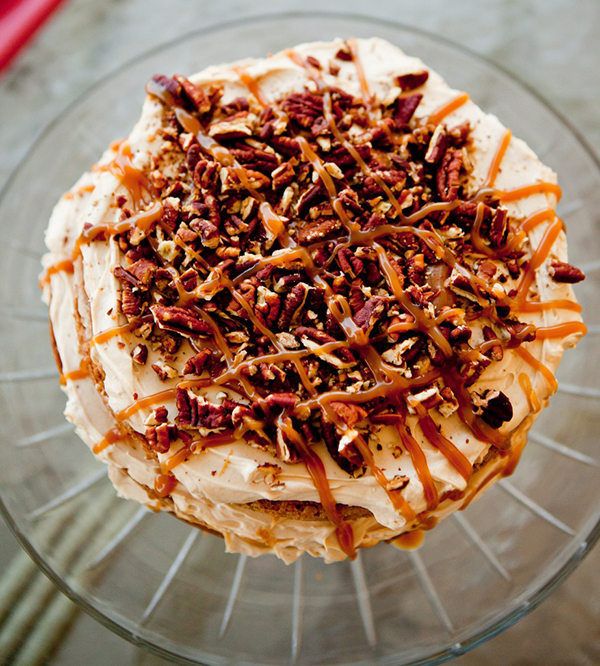 She tops this already delectable dessert with bourbon brown sugar whipped cream. If you have guests with numerous dietary needs, then this crustless apple pie will hopefully meet your needs. It’s also low-calorie which will helps for those that are looking for treats that are healthier than standard Thanksgiving desserts. I wasn’t sure if I should save this recipe for my Thanksgiving drink round-up since it is a milkshake or keep it here. Ultimately, I decided it deserved a spot with the other desserts. If you want to change things up this year at dessert, check out this tasty milkshake recipe. These sweet little carrot cakes are full of spice from cinnamon and nutmeg. 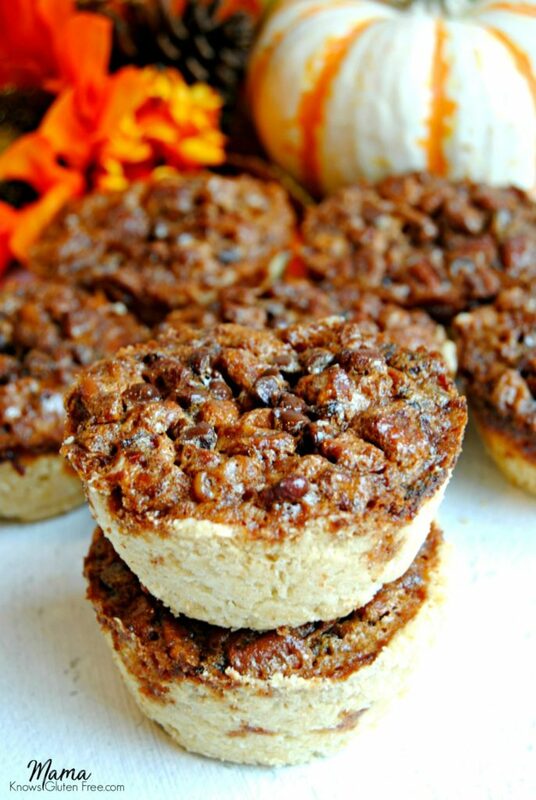 They’re topped with a pecan topping that’s sure to make your guests want seconds. 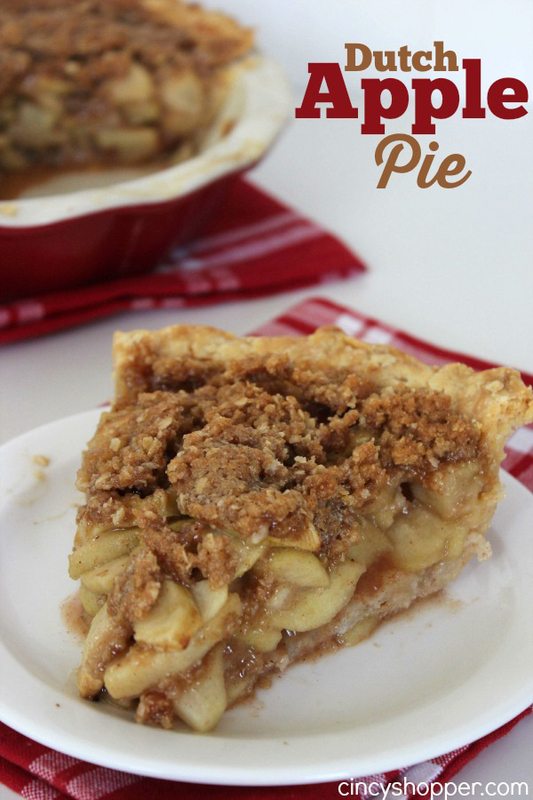 Jen shares a traditional apple pie recipe that is so comforting. It will make your guests feel warm and welcomed. They may never want to leave if you serve them desserts like this. I love that Stacie keeps the skins on her apples which provides not only texture but a bright green color. 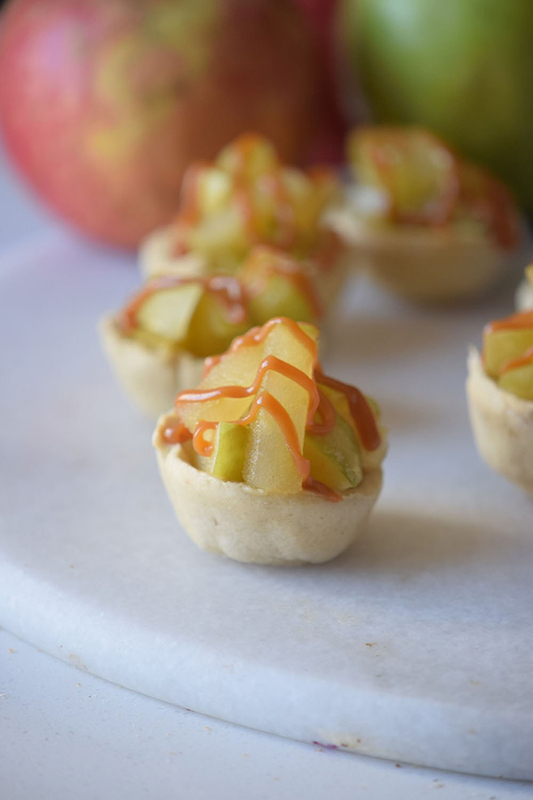 These mini apple pies would be perfect to allow guests the opportunity to have more than one dessert or to have just a small bite after having such a big meal. 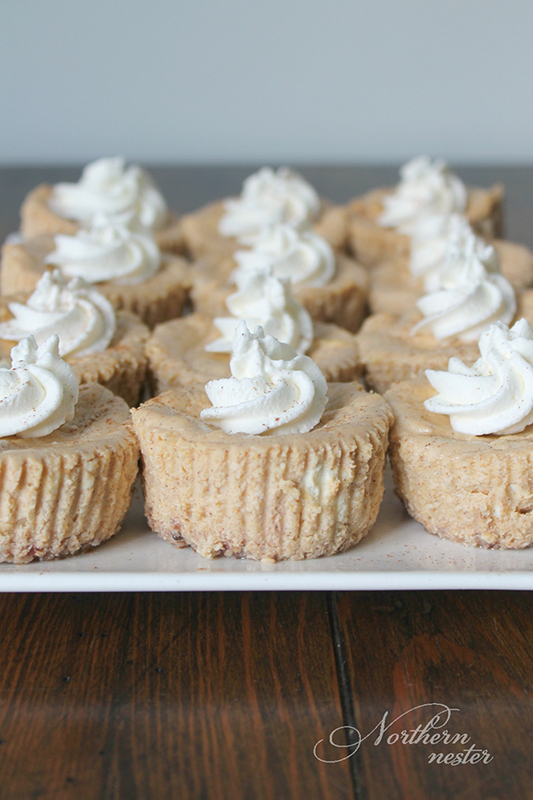 These mini cheesecakes would pair so perfectly with the bite size apple pies from Divine Lifestyle. These are definitely a dessert I would worry about people sneaking before dessert time. 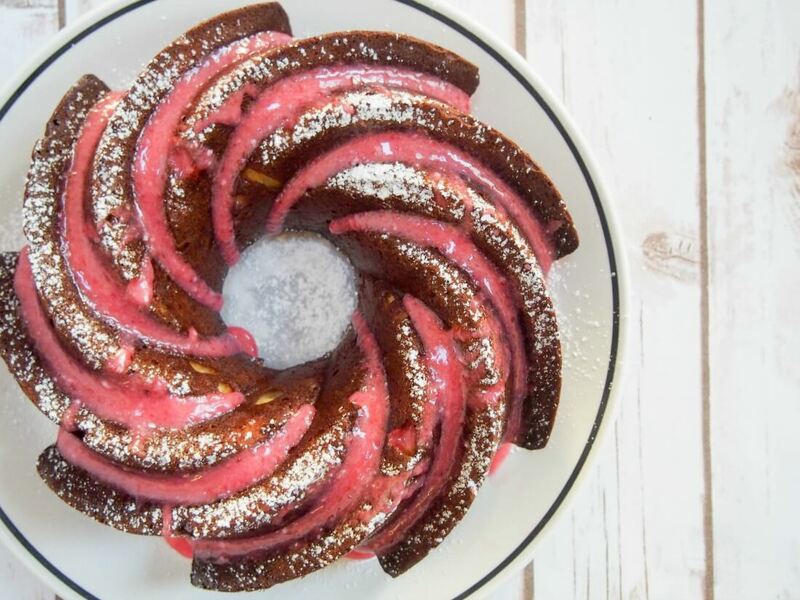 That is a really great dessert round-up! Thanks and Happy Thanksgiving! 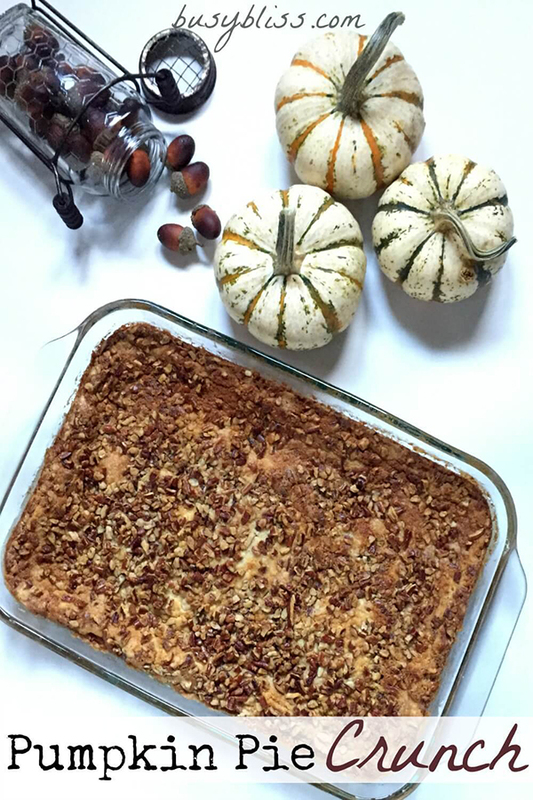 Thanks for stopping by and for allowing me to use your pumpkin bread pudding – it’s a great recipe!